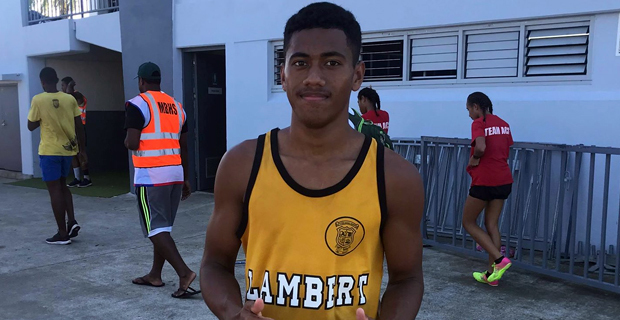 Marist Brothers High School sprinter, Viliame Rekitilako is ready to face the challenge from Natabua High School’s Nemani Mudrelagi and Kolinio Radrudru from RKS in the Coca-Cola Games next week. The three will be the ones to watch in the Senior Boys 100 metres event. Rekitilako won the 100 and 200 metres in the Suva Zone 2. The 17-year-old says that he decided to take up athletics this year to make his family and school proud. Kolinio Radrudru won the 100 and 200 metres titles in the Tailevu Zone while Mudrelagi won the Senior Boys 100 and 200 metres titles in the Lautoka/Yasawa Zone last month. Radrudru won the Intermediate Boys 100 metres title in last year’s games where he beat Mudrelagi while Mudrelagi got the better of Radrudru in the 200 metres final.